First and well before you actually begin bending nails, you will need either a Licensed Architect or a Licensed Engineer to review and approve your design before you can proceed to the next step. You'll then need to submit your plans to the City Building Department where the plans will again be reviewed and approved before you can proceed to the next step. That alone eliminates any comparison between the unlicensed mold assessors providing an assessment on a home that he intends to remediate. I pulled that list up from City of Rome just to provide an example of the hoops a design build contractor must jump through prior to the actual construction of the design build project. The equivalent of the Mold Assessment. Once you actually receive the Building Permit you must then receive the necessary inspections that are required. All applicable inspections listed below are mandatory and must be completed by a City of Rome Building Inspector prior to use or occupancy. There is one hell of a lot of oversight involved in the Design Build industry and unless there is separation between assessment and remediation there are none, that's right 0, in the Mold industry. The comparison between the Design Build industry and the Mold Remediation industry, is Not a fair apples to apples comparison of industries or industry oversight. The Mold Remediation industry would require only 2 points of oversight. 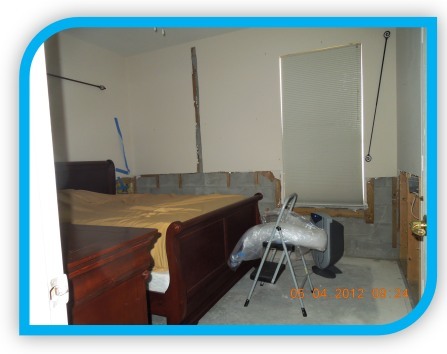 Here in Florida by a State Licensed Mold Assessor when the mold affected area is greater than 10 square feet. The Mold Remediator cannot perform or offer to perform any mold remediation to a structure on which the mold remediation or the mold remediation’s company provided a mold assessment within the last 12 months. Here in Florida by a State Licensed Mold Assessor that cannot perform or offer to perform any mold assessment to a structure on which the mold assessor or the mold assessors company provided mold remediation within the last 12 months. It just seems to be much easier than many want to make it out to be. History and experience tell me that the remediator who skips the initial step of an assessment from a licensed assessor usually finds it just as easy to skip other steps during remediation and usually also skip the last step of independent post remediation verification from a licensed assessor.